PROD: Feature, 35mm, 120 mins. OhLook Productions, Inc. (OhLook) has secured the rights to 2-time Academy Award winner, Emmy winner, Kennedy Centers Lifetime Achievement award winner, and Pulitzer Prize recipient Horton Foote's screenplay "Bessie". 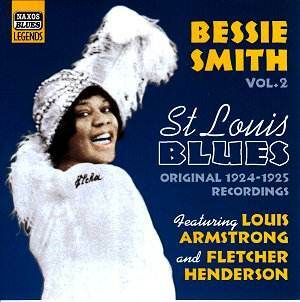 "Bessie" recounts the life and time of "The Empress of Blues", Bessie Smith. Horton Foote (1916-2009) has written many plays, screenplays and teleplays including the Oscar winning screenplays for "To Kill a Mockingbird" and "Tender Mercies". "Tender Mercies" not only won him an Oscar, but also teamed him up with director Bruce Beresford for the first time. "Bessie" will reunite Mr. Foote and Mr. Beresford and also actor Robert Duvall (long-time friend and colleague of Mr. Foote's having appeared in "To Kill a Mockingbird", and "Tender Mercies" – which won an Oscar for Mr. Duvall). Mr. Duvall has already expressed great interest in appearing in this film when it is made. Mr. Beresford (director of "Double Jeopardy", Oscar award winning "Driving Miss Daisy" and Oscar nominated "Breaker Morant") collaborated on the "Bessie" screenplay with Mr. Foote and has given a written commitment that he will direct "Bessie". OhLook Productions, Inc. (OhLook) has completed filming the pilot of the children's educational series Little Mozart ("Little Mo"). Distribution rights are under discussion. However, Third Parties are invited to contact OhLook for consideration.